Appt. Time: Anytime Morning (Open-11AM) Around Noon (11AM-1PM) Afternoon (1PM-4PM) N/A Sat. Evening (4PM-Close) N/A Sat. 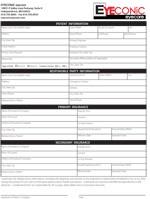 By submitting this form you agree to be contacted with confirmation of Appointment. *If time/date is not available, we will work with you to find another available time . - Summer is almost here! 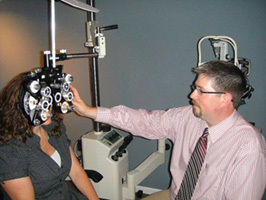 Dr. Michael J Hawk has worked as an Optician for 2 years prior to attending optometry school. Dr. Hawk graduated from Washburn University with a B.A. in biology and a minor in physics and chemistry. 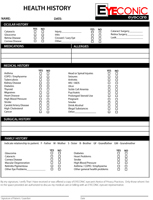 He attended the Pennsylvania College of Optometry where he earned a B.S. in Visual Science and a Doctor of Optometry degree. Dr. Hawk has practiced full scope optometry since 2004 in Independence before opening his own private practice and has specialized training in areas that include, disease management, specialty contact lens fitting, and pediatric care.